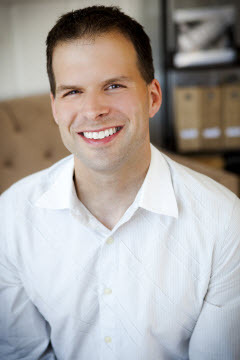 Dr. Solomon Cantwell has a true passion for providing excellent dentistry to patients. Dr. Cantwell excels at incorporating the most modern dental techniques while ensuring that his patients are as comfortable as they possibly can be. He believes that good oral health is one of the keys to good overall health and strives to provide each patient with the best health care possible. Dr. Cantwell received a B.S. in Chemistry from the University of Puget Sound in Tacoma, Washington, where he met his wife Laurie. The new Cantwell family moved to Bozeman, Montana where Dr. Cantwell received his M.S. in Organic Chemistry, working on the synthesis of drugs to be used in the treatment of Alzheimer's disease. Dr. Cantwell later graduated from the University of Nevada Las Vegas where he earned his Doctor of Medical Dentistry (DMD) degree. Dr Cantwell received many awards in school, including the UNLV School of Dental Medicine Award for Esthetic Dentistry. Dr. Cantwell has a passion for serving the oral health needs of people who are not fortunate enough to have dental care. He has repeatedly gone to Haiti and the Philippines to volunteer his time performing oral surgery in those countries. He also has volunteered at homeless clinics in the Las Vegas area. When not practicing dentistry, Solomon can be found outside enjoying San Diego, inside playing guitar or cooking for his wife and son, Beric. The greatest complement our patients can give us is the referral of loved ones, friends, and co-workers. Please share our website with others! My recent visit went great!! I went in for a filling in a nervous state. Dr. Cantwell, & his assistants immediately made me feel comfortable & told me not to worry. I didn't feel the shot (what I was most worried about) at all! I recently moved to San Diego by myself, so it's been hard trying to find permanent primary doctors & dentists. I can definitely call this place my permanent primary dentist office. Dr. Cantwell and his staff are awesome! I have been very pleased. They take the time to get to know you beyond the regular patient care. Dr. Cantwell provides detailed information on any procedures needed. Dr. Cantwell and team provide a comprehensive list of general, restorative and cosmetic dental services to meet the needs of the whole family, serving Clairemont, Kearny Mesa, San Diego and the surrounding communities.